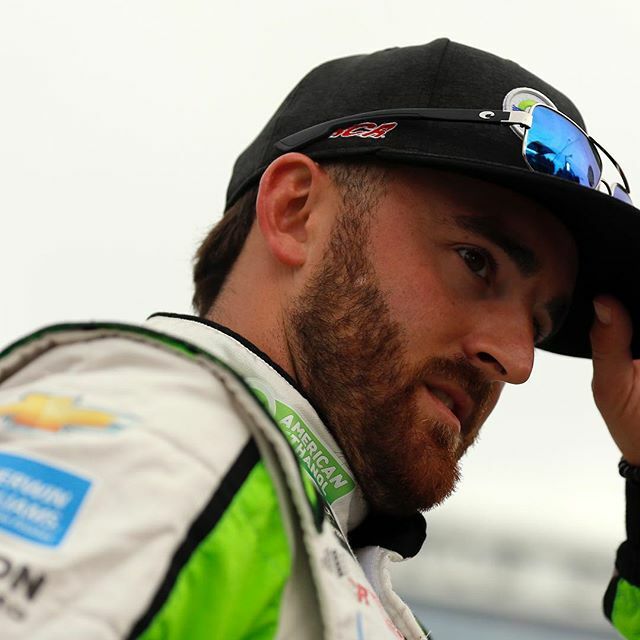 Austin Dillon earned a 17th place finish last weekend in the No. 3 American Ethanol e15 Chevy Camaro ZL1 at the legendary Talladega Superspeedway in the 1000Bulbs.com 500. After starting the race from the 21st position, the final result of 17th place was an improvement, though not as high as Austin and his team were ultimately striving for. Early handling issues put the No. 3 team in the tough position of having to make significant tweaks to the car throughout the race. And, the team’s purposefully conservative strategy toward the end of the race didn’t pay dividends when the late-race pile up (aka “The Big One”) that has come to be expected at Talladega never materialized. 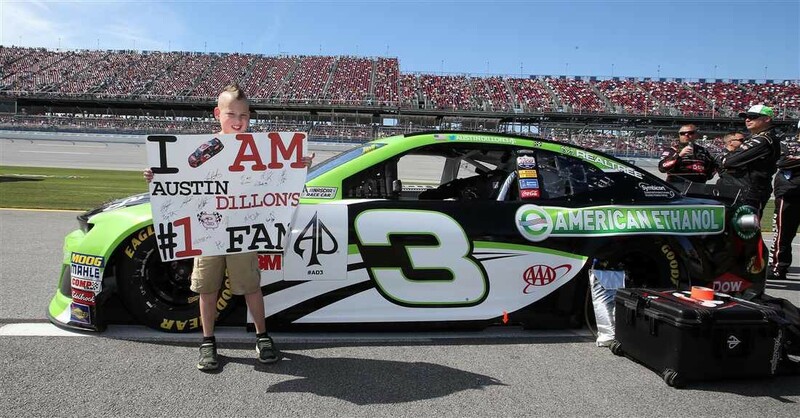 There will be only one more American Ethanol paint out this year for Austin Dillon at the Can-Am 500 at ISM Raceway in Phoenix, Ariz. on Sunday, November 11. The Can-Am 500 is the penultimate race of the Monster Energy NASCAR Cup Series schedule, so all eyes will be on Phoenix as drivers who remain in the Cup Championship hunt push for the title. 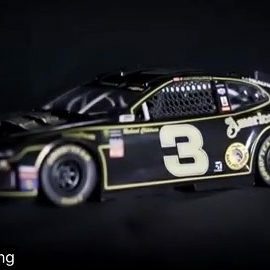 Austin Dillon and the No. 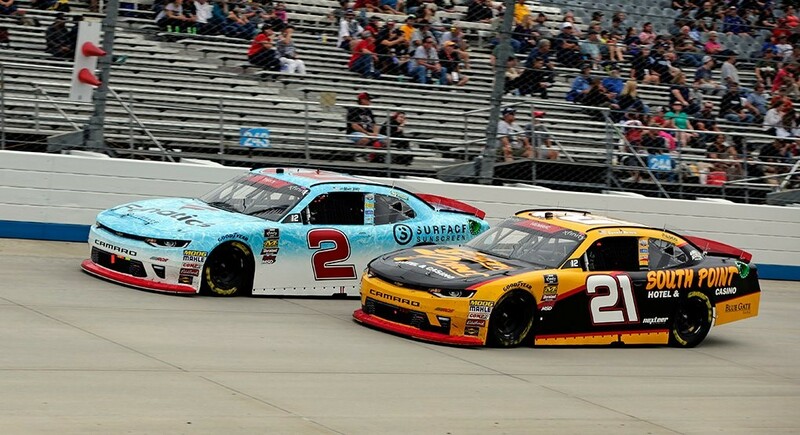 3 team return to the track this weekend at Kansas Speedway for the Hollywood Casino 400. Austin has had success in Kansas before, earning a sixth-place finish at the track in 2016. When asked, Austin expressed excitement at the opportunity to go for another top-10 finish at the speedway. Tune in to the Race! The Hollywood Casino 400 at Kansas Speedway will be televised on Sunday, October 21, at 2:30 p.m. Eastern time on NBC. It will also be broadcast live on the Motor Racing Network and SiriusXM NASCAR Radio. 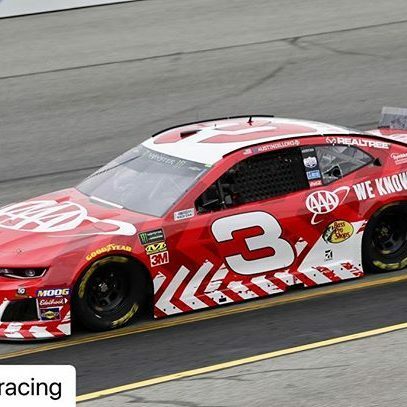 American Ethanol will be back on the racetrack again this weekend, this time in the NASCAR Xfinity series! 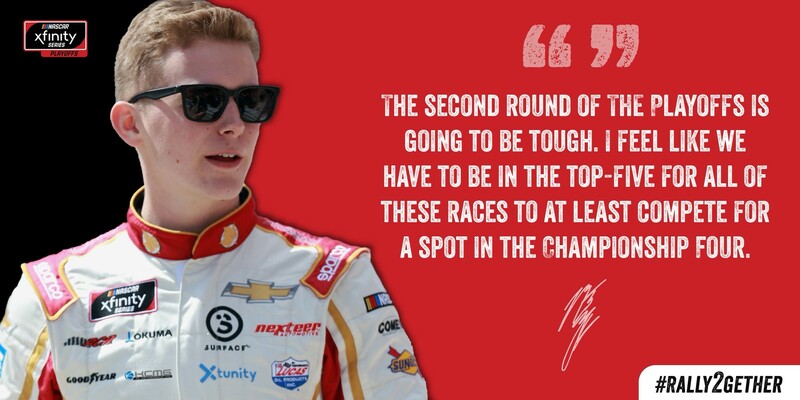 We’re teaming up with the United Sorghum Checkoff Program and Richard Childress Racing’s Matt Tifft for the Kansas Lottery 300, the first of three races that comprise the “Round of 8” in the Xfinity Series Playoffs! 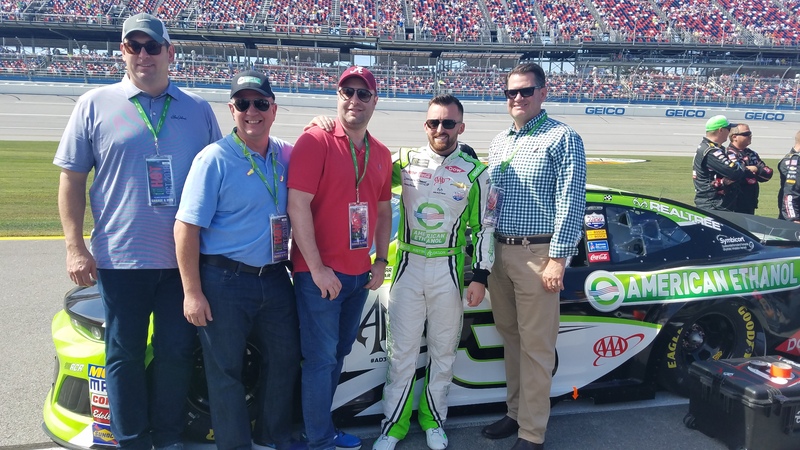 Twelve ethanol plants in the biofuels regularly industry use sorghum as a feedstock for ethanol production, and ethanol producers purchase more than $300 million worth of Sorghum, so it was only a matter of time before we came together on the racetrack. 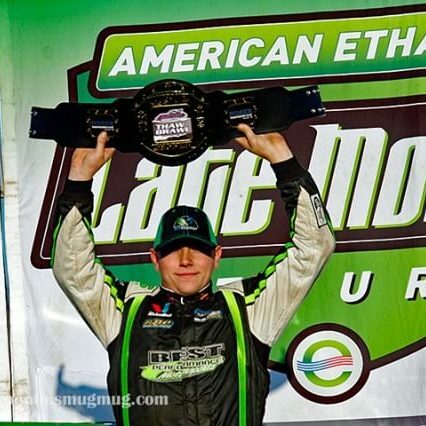 Representatives from the Sorghum industry will join Growth Energy at the race to watch Matt Tifft continue his Xfinity Series Playoff run in the No. 2 American Ethanol e15/Sorghum Chevrolet Camaro. 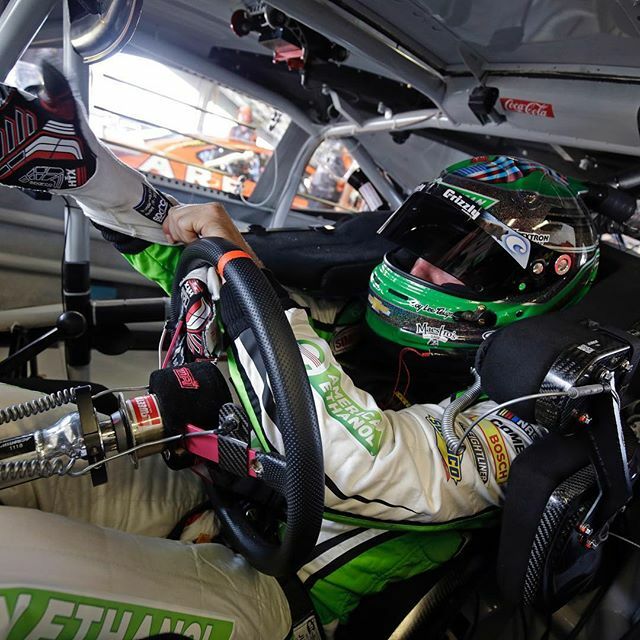 Matt is currently one of the eight drivers remaining in the playoff push, and a solid performance at Kansas will give him a great chance to advance to the “Championship 4” at Homestead Miami! In the ethanol industry, the United Sorghum Checkoff Program focuses on developing direct awareness of the benefits of using sorghum as a biofuel feedstock. Sorghum is truly a versatile crop that can be grown as a grain, forage or sweet crop. The United States is the world’s largest producer of grain sorghum, having produced 480 million bushels in 2016. The United Sorghum Checkoff Program is a producer-funded organization dedicated to improving the sorghum industry through research, promotion and education. American Ethanol is excited to work with the sorghum representatives this weekend at Kansas to represent the biofuels and agriculture industries! Don’t Miss the Kansas Lottery 300! Coverage of this week’s Kansas Lottery 300 at Kansas Speedway will be televised on Saturday, October 20, at 3 p.m. Eastern time on NBC. It will also be broadcast live on the Motor Racing Network and SiriusXM NASCAR Satellite Radio, channel 90. American Ethanol returns to the International Motor Press Association (IMPA) Test Days for the third-consecutive year next week in Monticello, New York. IMPA Test Days brings automotive reporters, bloggers, and influencers together every year to test drive the new fleet of vehicles for the upcoming model year. We have sponsored the event in the past and will do so again this year, though we are expanding our footprint at the event to make an even bigger splash. 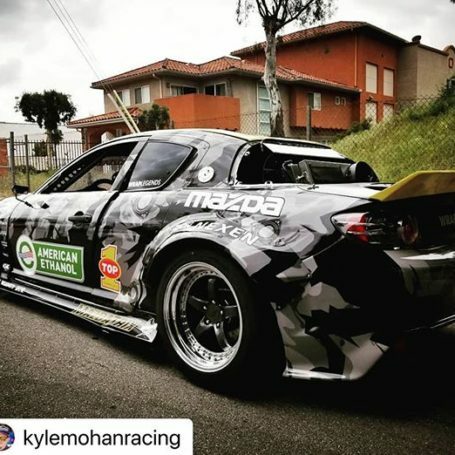 New this year, we will have Kyle Mohan’s KMR Mazda MX-7 show car on display at our American Ethanol booth. 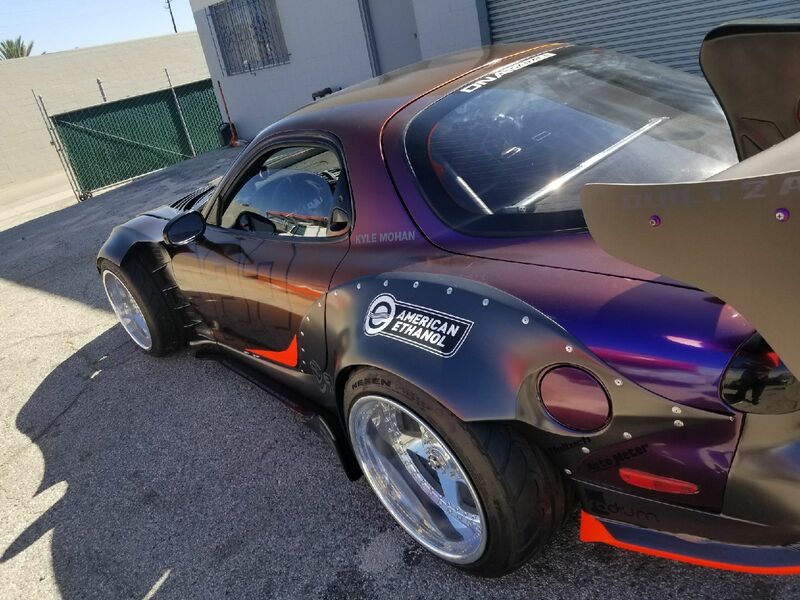 It is an extremely unique looking build that will be sure to draw the attention of attendees. 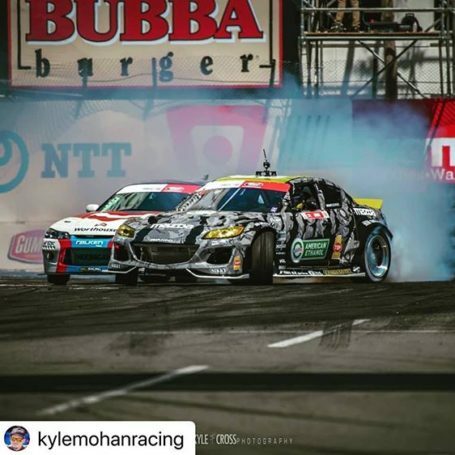 Kyle Mohan and ECR Engines’ Dr. Andy Randolph will accompany the show car and join us at the event to engage automotive reporters on the benefits of cleaner-burning, high-octane biofuels. 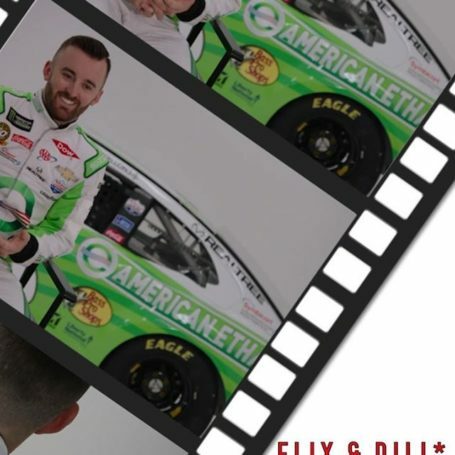 Keep an eye on the American Ethanol social media channels (@americanethanol) next week for coverage of the event! We were extremely excited for the No-Fly Zone Arizona side-by-side racing event presented by American Ethanol last weekend, where Anthony Taylor was primed to take home first place in his class in the American Ethanol Porsche 997 Turbo GT2, but, unfortunately, the event was cancelled due to an unlikely rain storm. Arizona is not known for its heavy rainfall, but a large storm rolled in last Saturday that caused flooding throughout the state and even washed out the Arizona State Fair, ultimately ending Anthony’s No Fly Zone championship bid before it even started. The good news is, Anthony will be on the track at the end of October for Shift-S3ctor’s California Airstrip Attack in Coalinga, Calif.!